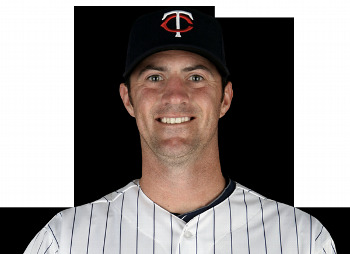 When Twins reliever Jeff Gray woke up this morning, he found himself tied for the major league lead in wins. While the total - 2 - was modest and early April baseball stats are dubious at best, it was still a notable accomplishment for a 30-year-old with one major league victory entering this season. Before he was claimed off waivers by the Twins last October, Gray had appeared in 66 big league games over 4 seasons with the A’s, Cubs, White Sox and Mariners. So far this year, the righthander has made good in his attempt to carve out a role in the Twins bullpen. In four appearances, Gray has allowed just 1 hit in 1 2/3 innings. I caught up with Gray before today’s game to talk about his hot start with his new team. DZ: Right now you are tied for the big league lead in wins. How unexpected - how cool is that? GRAY: It’s unexpected because in my eyes it’s the right time, right situation kind of thing, (but) it’s fun knowing that. Pav(ano) threw a really good game that first game and, unfortunately, we couldn’t get a win for him. My whole job is kind of to keep the game the same and give us an opportunity to win and get outs as quick as I can. DZ: As a bullpen guy, how important is it to get off to a good start? If things don’t go well right away your numbers can look really ugly. GRAY: It is good to get off to a good start, but all in all you still have to get outs and you still have to have to give us an opportunity to win the game as quick as you can do it. DZ: Does the good start help your confidence and - being on a new team - make you feel more a part of things right away? GRAY: Yeah, it really gets you a little more relaxed and a little more comfortable. At the beginning everyone is a little antsy, everyone wants to do well and everyone wants to win ball games. Pitching well at the very beginning really gets you in the right mindset and gets you a little more relaxed out there. DZ: You’re a guy who has bounced around a little bit, been on a few different teams; what is the toughest part about getting adjusted to a new organization and a new city? GRAY: You go into spring training and it’s like the first day of school. You have to meet a lot of new guys and a lot of new personnel and try to understand the philosophy the coaching staff wants you to do. All in all, it’s good. I knew a couple of guys from fall league that I had played in the past with. This team is a really great group of guys and we get along really well. DZ: You go into spring training and there are some spots open in the bullpen and you want to get one of them, how did you find out you made the team? GRAY: It just came down to the last day and we had a lot of great arms and a lot of great pitchers there in spring training and there was a lot of competition for spots. Just knowing I was going to be part of this was nice, it was comfortable. DZ: You were drafted in 2004 pretty late - the 32nd round, 967th overall. What was your mindset coming into professional ball? GRAY: Way back then it was just exciting. I got to have an opportunity to play major league baseball. At that time I really didn’t believe that I was going to get that opportunity. Having an opportunity to have a chance to play in the major leagues was great. It’s a childhood dream to play in the major leagues and I’ve just tried to hit every level and work as hard as I can and get better every day and learn as much as I can to be here and stay here. It’s been quite an adventure, but it’s been a lot of fun. This entry was posted on Friday, April 13th, 2012 at 7:24 pm	and is filed under MLB, Twins. You can follow any responses to this entry through the RSS 2.0 feed. You can leave a response, or trackback from your own site.